I have so many cool places to talk about but I just realised I didn’t finish my Fuerteventura series. Don’t worry, I saved the best for last. As a matter of fact, I was in a constant pinch me mode the last days there. If you go back to my December posts about Fuerteventura you’ll notice that day 5 was actually the busiest day. But no matter how far you want to go, there comes a time in life… or vacation when you just slow down to enjoy the view. This is what happened to us in Fuerteventura as well. We spent the last days experiencing the wilderness and the violent beauty of the place. 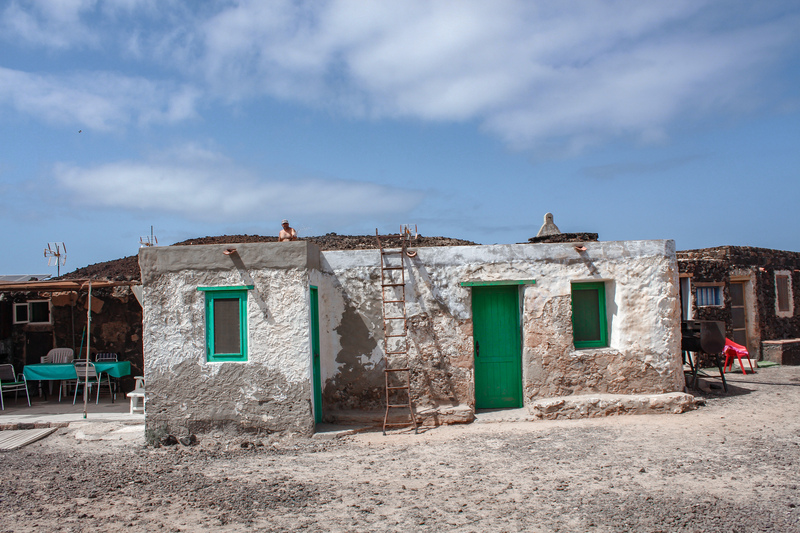 On day 6 we hoped on a boat from Corralejo to another small island named Isla de Lobos. The island – so isolated and inhabited by only 3 fishermen. Its beauty however was haunting. We spent the whole day swimming in the turquoise waters and exploring the island. This island has been declared a protected area Zone of Special Protection of Birds (ZEPA) and Zone of Special Conservation (ZEC), so you are only allowed to walk on the designated path. Favorite view? Believe me, it’s true, they come after the hardest climb. And I say hardest climb because we totally forgot to check the time and decided to hike the oldest volcano in the Canaries only one hour before the boat was supposed to take us back to Corralejo. We loved the island so much that we decided to spend the next day on a catamaran just to spend more time on the island. We spent the day 6 on the catamaran relaxing, enjoying the ride and then swimming in the cold water. We eventually returned to our boat and continued the fun… we jumped in the middle of the ocean to feed and swim with the fishes. Day 8. Another day on the beach before our flight back. No phone, no photos, just living in the present. Do you have an unplugging day as well when traveling? Loved the post! So beautiful pictures! It’s true what you said hardest climb then the best view! What a gorgeous island! The water is so blue! Wonderful place! This place looks heavenly! Wow! The photos are stunning! An island inhabited by only 3 fisherman is very intriguing! What a lovely place! I’m sure that the experience must be wonderful, too!! I did it few years ago when I went to the Maldives and just like you I had a great time! reading this blog makes me want to do that again!